ABU DHABI, 4th September 2018 (WAM) - Louvre Abu Dhabi has announced a full season of programming for the 2018-2019 season under the theme World of Exchanges. International exhibitions will include Japanese Connections: The Birth of Modern Décor (6 September – 24 November 2018), which explores links between Japanese aesthetics and modern French decorative arts; Roads of Arabia (8 November 2018 – 16 February 2019), the acclaimed exhibition exploring the archaeological and cultural heritage of Saudi Arabia and the Arabian Peninsula; Rembrandt and the Dutch Golden Age: The Leiden Collection and the musee du Louvre (14 February – 14 May 2019) presenting 17th century masterpieces by Rembrandt and artists of his time; and Opening the Album of the World (25 April – 30 July 2019) in collaboration with Musee du quai Branly – Jacques Chirac, tracing early photographic methods from around the globe. On 6 September, Louvre Abu Dhabi’s Children’s Museum will open its second exhibition, which looks at real and imaginary animals throughout art history. 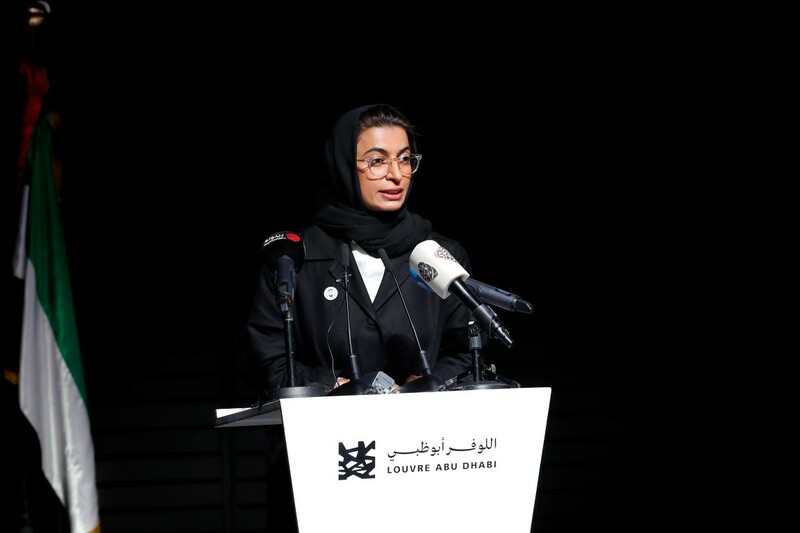 Noura bint Mohammed Al Kaabi, Minister of Culture and Knowledge Development, UAE said: "It is with great pleasure that we today launch Louvre Abu Dhabi’s new season. Arts and culture play an instrumental role in nurturing cultural understanding and fostering civic mediation. Louvre Abu Dhabi is an interactive space for the people of the UAE and beyond. It tells stories from all around the world and enables multifaceted perspectives to be heard, discovered, explored, and respected." 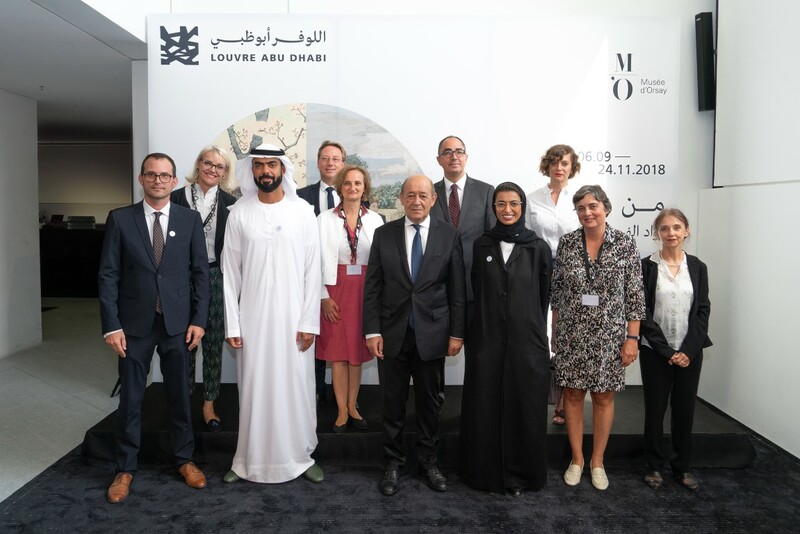 Mohamed Khalifa Al Mubarak, Chairman of the Department of Culture and Tourism – Abu Dhabi, said: "Louvre Abu Dhabi’s new season, A World of Exchanges, will offer visitors an opportunity to engage with a diverse programme and new conversations about different civilisations and their connecting points. Louvre Abu Dhabi is Abu Dhabi’s gift to the world – a place where all cultures can find something that reminds them of home, showcasing the wide range of similarities that unite us, to be seen, experienced and enjoyed by all. The museum is the emblem of the city’s openness and reflects its local, regional and international communities." "As we approach Louvre Abu Dhabi’s first anniversary, a momentous milestone and a time where we reflect on our visitors to date, we are proud to launch our first full-year season," said Manuel Rabate, Director of Louvre Abu Dhabi. "The upcoming programme demonstrates our commitment to celebrating understanding and exchange through the arts, as we continue to set a new direction for cultural dialogue." 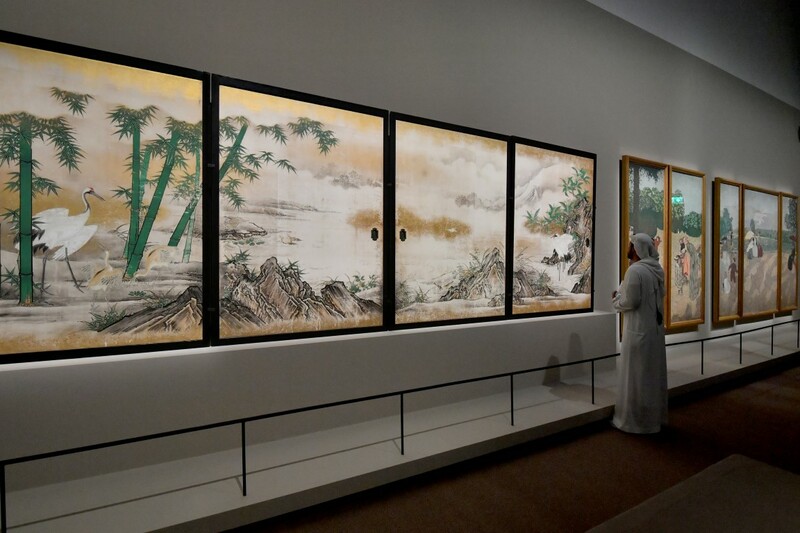 Dr. Souraya Noujaim, Scientific, Curatorial and Collections Management Director, Louvre Abu Dhabi, said: "Our international exhibitions are a platform to explore the themes and ideas of our permanent galleries more deeply, shining a light on the cross-cultural dialogues at the centre of our curatorial story. These four exhibitions will take visitors on a journey around the globe and highlight the cultural and social exchanges that have always defined human interaction. The vibrant programme features academic conferences and research that will further global museography, as well as performances, concerts and multidisciplinary arts that have something to offer for all of Louvre Abu Dhabi’s audiences." Programme details Japanese Connections: The Birth of Modern Décor, 6 September – 24 November 2018 Curated by Isabelle Cahn, General Curator of Paintings at Paris’s Musée d’Orsay, the exhibition will trace the influence of the iconic Japanese Ukiyo-e aesthetic on modern French decorative artists, through a presentation of more than 40 prints, paintings and screens including French group, the Nabis, and five Japanese Ukiyo-e masters from the 19th and 20th centuries. For the first time, Louvre Abu Dhabi will open a special space for teenagers and young adults to explore Japanese youth culture, from 6 September 2018 to 5 January 2019 called Manga Lab. The space, located in Louvre Abu Dhabi’s forum, will offer a variety of entertaining experiences, including Japanese artworks brought to life through virtual reality, retro arcade gaming, an expression wall, a chill-out reading area, and a series of masterclasses and workshops exploring the art of Manga and graphic comics. The exhibition will be accompanied by programming that celebrates Japanese arts and culture. The weekend of the exhibition opening will feature the Emirati-Japanese Kharsha Drums group, who will play traditional waikaido percussion performances played by Japanese and Emirati musicians to the museum. The programme will offer film screenings curated by Hind Mezaina, a talk entitled ‘100 years of Manga’ exploring how Japanese traditions inspired the phenomenon and a project with renowned street artist Myneandyours whose collaboration with several UAE schools will be showcased in the museum. The programme culminates with a Big in Japan weekend including a spoken word by award-winning Emirati Afra Atiq, and a performance by the Turntable Symphonograph Orchestra from Japan. The museum’s café will feature a special Japanese-inspired menu. Children’s Museum exhibition Animals: Between Real and Imaginary, 6 September – July 2019 Animals: Between Real and Imaginary explores how animals have been represented creatively throughout art history from all eras and regions. Visitors will be introduced to a variety of materials and techniques used by the artists to represent both real and imaginary animals. A workshop titled "Animal Footprints" will run from 16 September 2018 to 30 June 2019, and allow children to follow the footprints of the animals included in the exhibition and discover their meaning and the power of their representation in art. Roads of Arabia, 8 November 2018 – 16 February 2019 For its second exhibition of the season, Louvre Abu Dhabi will present a special edition of the Roads of Arabia touring exhibition. The exhibition is curated by Dr. Souraya Noujaim, Scientific, Curatorial and Collections Management Director, and Noemi Dauce, Chief Curator – Archaeology at Louvre Abu Dhabi. The acclaimed exhibition will explore the archaeological and cultural heritage of Saudi Arabia and the diverse history of the Arabian Peninsula, in partnership with the Saudi Commission for Tourism and National Heritage. The exhibition will also integrate additional artefacts from the UAE that are displayed for the first time, highlighting the shared history of the two nations through five chapters. First shown at Paris’s Musee du Louvre in 2010, the exhibition has since travelled to 14 cities such as Russia, China and the United States of America. In Louvre Abu Dhabi’s edition, the artworks include Anthropomorphic stele that dates to the 4th millennium BCE and Gold Funerary Mask from the 1st century BCE, both loaned by the National Museum in Riyadh, as well as an imported vase from Mesopotamia that was discovered in the Marawah Island, and which dates to 5500 BCE, loaned by the Department of Culture and Tourism, UAE. The museum will mark the exhibition opening on November 8, 9 and 10 with a three-day celebration featuring musicians from Morocco, Egypt, Saudi Arabia, the UAE, Iraq, Ethiopia, China, Indonesia and India performing within a contemporary, calligraphic street art drawing designed by Tunisian artist Koon. 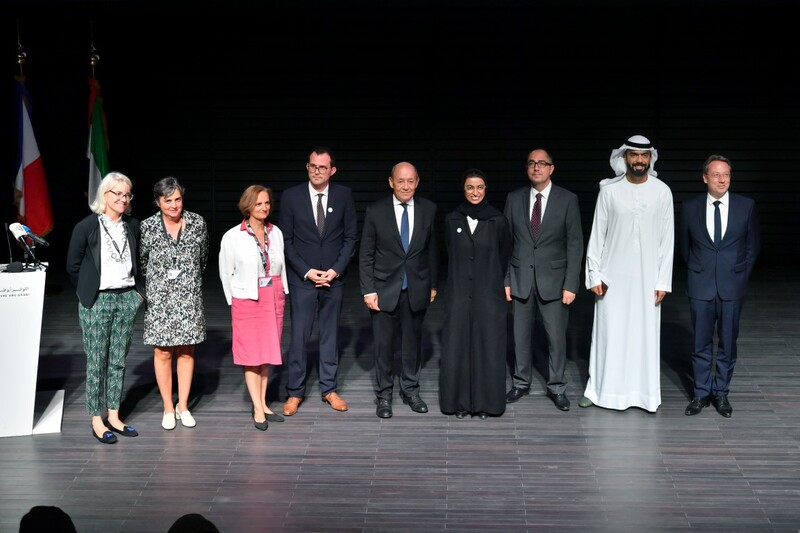 First Anniversary Celebrations, 8 – 11 November 2018 To mark the museum’s first anniversary of opening, Louvre Abu Dhabi has planned a week of celebrations between 8 and 11 November, including an inaugural symposium titled, Worlds in a Museum, in collaboration with Ecole du Louvre. The symposium will bring together industry leaders to discuss contemporary museography through keynote speeches and panel discussions. There will also be a special edition of Rooftop Rhythms introducing spoken word artists from around the world that will create poetic art performances inspired by the museum’s artworks. Rain of Light Festival, 11 – 15 December 2018 A specific moment celebrating the immersion into the World of Exchanges will be the performing arts festival Rain of Light. A route into the diversity of artistic expression between concerts, ballet and dance battles, circus and street art performances, and traditional music will immerse visitors and audiences into the museum’s architecture, celebrating the building, embracing universality and creating a dialogue to experience world cultures and heritage. This metaphorical route into cultures will be a true experience, as an initiatory journey in most of the museum’s spaces. Rembrandt and the Dutch Golden Age: The Leiden Collection and the musee du Louvre, 14 February – 14 May 2019 (title subject to change) An exhibition that celebrates one of art history’s most acclaimed and well-loved Old Masters, Rembrandt and the Dutch Golden Age: The Leiden Collection and the musée du Louvre, will present masterpieces by Rembrandt and artists of his time. The works are drawn from the Leiden Collection of important 17th century Dutch paintings and include some of the period’s most characteristic genres: biblical and historic scenes, portraiture and genre. The musee du Louvre, where the Leiden Collection was first unveiled in 2017, will also lend artworks from its renowned Dutch paintings collection. Opening the Album of the World, 25 April – 13 July 2019 Photography was invented in August 1839 and travelled rapidly from Europe across the world in the hands of geographic, scientific, diplomatic, colonial and military missions. Opening the Album of the World will trace the impact of this new technology on societies’ understanding of the world beyond their own borders, drawing on early photographs from the collections of the Musee du quai Branly - Jacques Chirac. In particular, it will highlight the work of photographers from Africa, Asia, the Middle East and the Americas who adopted photography as a method to chronicle their own communities and cultural experiences.